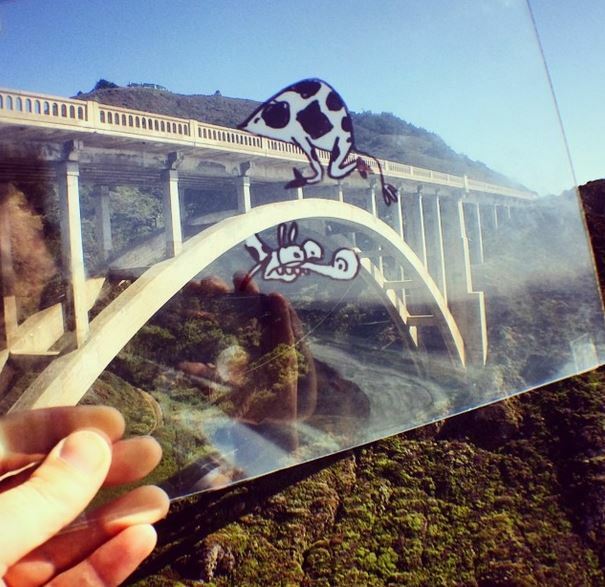 Marty Cooper creates cartoons and add them in to real world situations with the help of a transparent sheet. 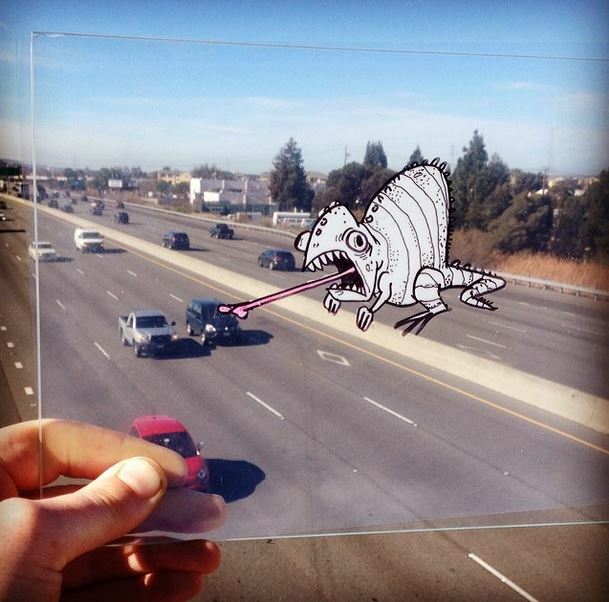 It’s his creativity and adorable cartoons which makes the art look brilliant. He started uploading his work on his Instagram account and people started liking it so much that he thought of going a step ahead with this and he started creating videos too. Here I am sharing some brilliant arts from his gallery. Check them out. 1. That SUV is in danger. 2. 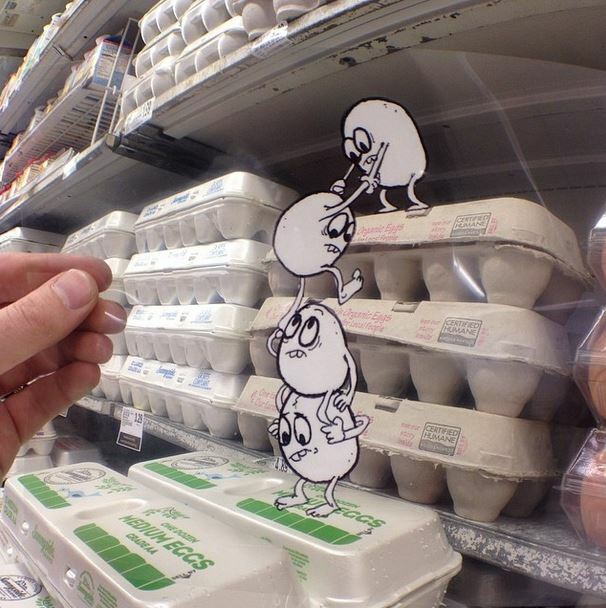 Eggs trying to escape. 3. 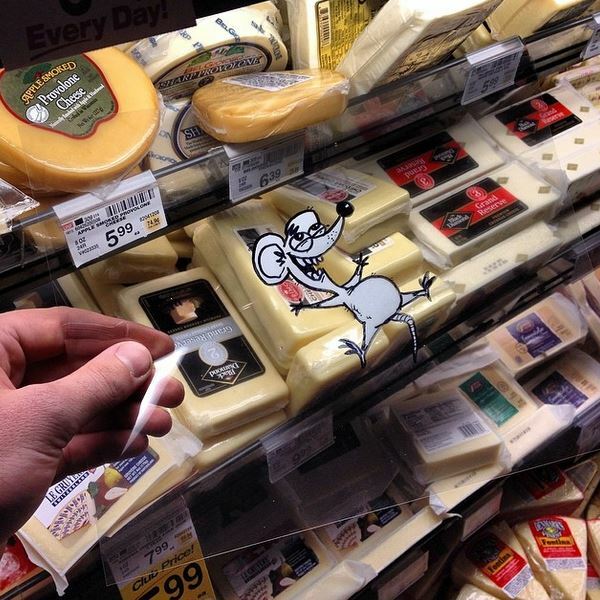 This guy has just discovered a lot of Cheese. 4. I have been searching for these shoes for so long and here they are! 5. 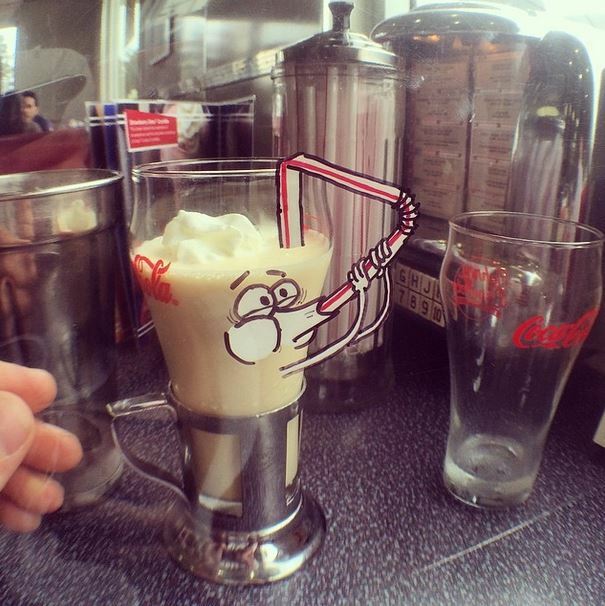 Milkshake helps you finish itself. 6. A Giraffe needs your help. 7. 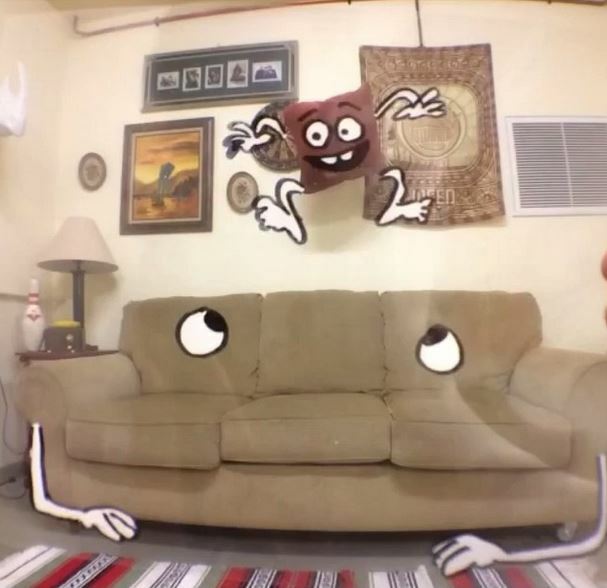 Stop jumping over me! 8. 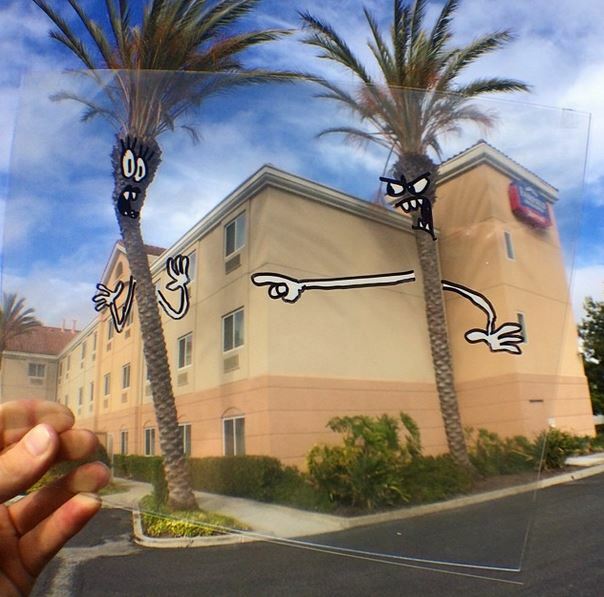 Palm trees having a conversation. If you want to see the video version, go ahead and play this video. If you have enjoyed the pictures you are gonna enjoy the video a lot more. I hope you enjoyed the post. Share it with your friends and make them laugh as well. Follow us on Facebook and Twitter for regular updates. 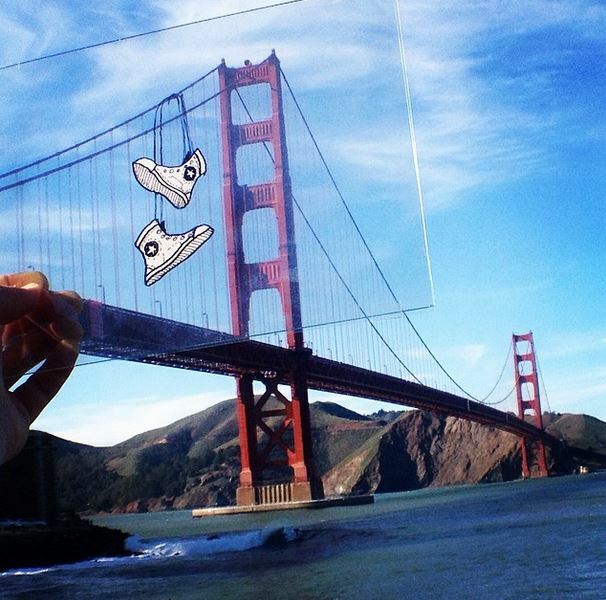 If you want to see more of these, don’t forget to follow Marty on Instagram.